As their name suggests, so-called “granular materials” are made up of “grains” — small (but macroscopic) pieces of sand, glass beads, coffee grounds, or almost any other solid you can think of. Granular materials can flow like a liquid (like sand in an hourglass), resist deformation like a solid (like the sand under your feet at the beach), or quickly transition between these states (like pebbles in a rockslide). Granular materials have properties that have no equivalent in regular materials like wood, metal, or rubber. In solids like these — the kind we learn about in materials science class — a force applied to the surface propagates through the material smoothly and predictably. If a uniform force is applied to the surface of a material, every equally sized cross-section of that material bears the same amount of load. In granular materials, however, the situation is very different: in a sand pile under stress (that is, when a force is applied to its surface), the force is distributed unevenly — some individual sand grains bear far more load than others. Surprisingly, this remains true even when the sand grains themselves are identical.  What’s more, the load-bearing grains connect to one another to make a fractal, lightning-like pattern inside the material, like that shown in Figure 1. These string-like arrangements of load-bearing grains are called force chains. As Figure 1 shows, force chains are easy to identify in a computer simulation. But can you “see” forces inside a real material? Today’s paper — which is from 2005 but has already proven to be a classic in the field — shows us how it can be done. The secret lies in a clever choice of “grain”: in their experiments, Majmudar and Behringer use about 2,500 transparent plastic disks, each about a centimeter in diameter and half a centimeter tall. These disks are placed in a thin container that confines them to a single plane — this experiment is similar to the board game Connect Four, but without the vertical rails. Crucially, these plastic disks have a property called photoelasticity: when they are stretched or squeezed, they deform, and when they deform they alter the polarization state of light passing through them. For instance, linearly polarized light might be converted into circularly polarized light, or light that’s still linearly polarized, but along a different axis than before. Thus, placed between crossed (perpendicularly oriented) polarizers, an unstressed disk will appear dark, but a squeezed or stretched disk will appear bright, since any alteration of the polarization state of the incoming light will allow some of it to pass through the second polarizer. What’s more, the pattern of light — like that shown in Figure 2 — can be used to infer the normal and tangential forces acting on each disk. By imaging lots of disks at the same time, photoelasticity can be used to infer the overall stress pattern inside a granular material. Majmudar and Behringer are especially interested in two particularly simple situations: isotropic compression and shear. Under isotropic compression, the collection of disks is squeezed equally from all sides, while under shear, the collection of disks is squeezed on top and bottom, but allowed to expand by an exactly equal amount at the sides. Interestingly, the system responds very differently to these two types of load: for isotropic compression, the force pattern, shown in the left panel of Figure 3, resembles a random network — short chains of highly stressed disks connect over distances of a few diameters. For shear (Figure 3, right panel), the situation is very different: long force chains, tens of disk diameters in length, extend in the direction along which the system is being squeezed. This phenomenon, where an applied stress causes the material itself to change in a direction-dependent manner, is called stress-induced anisotropy; it is not captured by the linear elasticity theory that students typically learn, even in advanced material science classes. In the decades since this paper was published, the techniques pioneered by Majmudar and Behringer have allowed scientists to better understand properties of granular materials: under what circumstances force chains form, how they depend on properties of the disk such as shape and friction coefficient, and how they influence behaviors such as jamming – the rapid transition from a flowing state to a rigid one. Figure 3 – A granular material under isotropic compression (left), and shear (right). In the sheared system, long, oriented force chains are clearly visible. Postscript: On the day of publication, we learned of the recent death of the PI of this paper, Bob Behringer, at the age of 69. This post highlights just one of the many contributions of this widely respected scientist to the field of soft matter physics. For a more detailed overview of Behringer’s life and work, see here. The experiment described in the paper used crossed (oppositely oriented) circular polarizers rather than the linear ones shown here, but the principle is the same.